Notes: The Akira class is one of Starfleet's post Wolf 359 generation of ships. Designed to combat the Borg in any future encounter, the Akira is heavily armed with as many as three to fifteen torpedo launchers capable of firing both Photon on Quantum torpedoes. 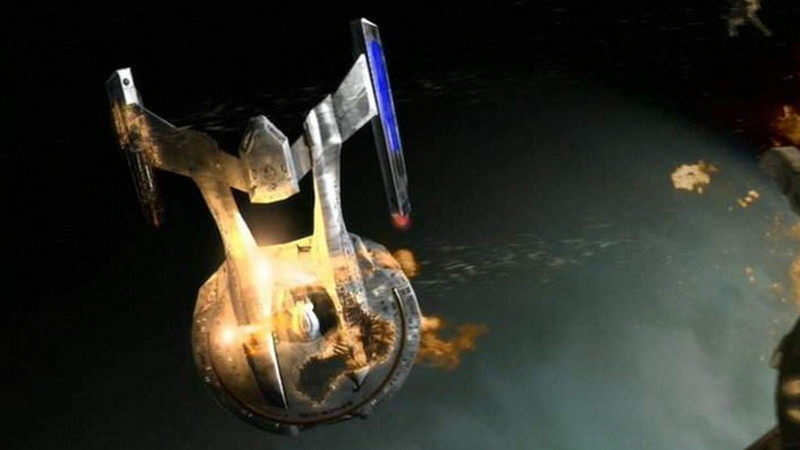 The Akira class was first battle tested during the second Borg invasion where it proved invaluable to destroying the Borg cube. The Akira's second combat role came during the Dominion War where it accounted for a good percentage of Federation firepower. 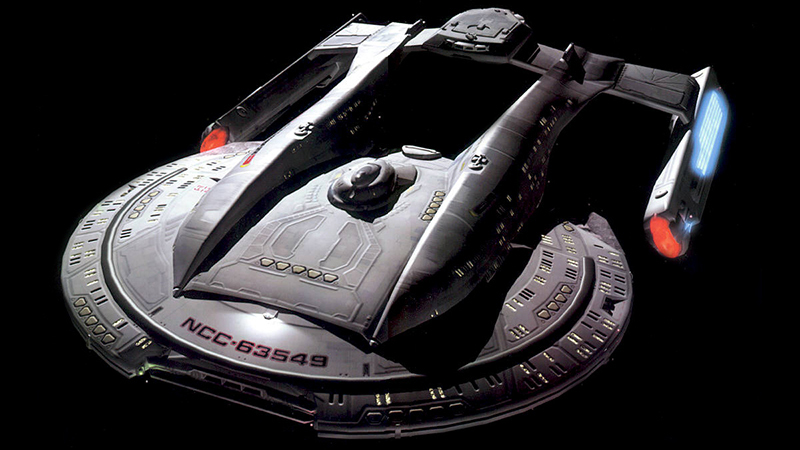 Having proven its capabilities the Akira class is sure to remain a vital part of Starfleet. Along with the Akiras combat role, the class is equipped with several large shuttle bays connected to each other through the ship, with two bay doors on aft part of the saucer and one large door on the bow of the ship. This provides valuable mission capabilities as a carrier or an evacuation platform.